He played for and managed the Boston Red Sox for 13 seasons before becoming the president of the American League. He was signed to a professional baseball contract by famed baseball promoter Joe Engel. He never won a World Series Championship as a manager, but he guided two different teams to the American League pennant. He had four children with his wife Mildred. 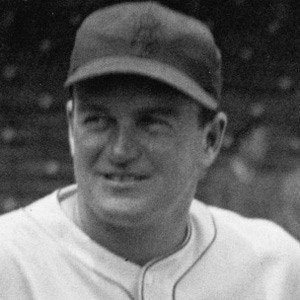 He managed Hall of Fame outfielder Ted Williams for many years with the Boston Red Sox.